After fighting a dismal stock price and sinking wireless business model, Chinese mobile value-added services firm Hurray (HRAY) says it is merging with Enlight Media to form a new company aptly named Hurray Enlight. Under the new management, Sean Wang, president of Hurray, works as president and CFO of the new company. 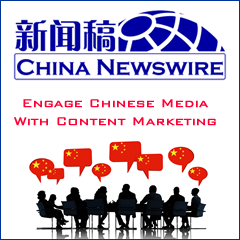 Li Xiaoping, vice president of Enlight Media, will work as joint president for the company. While Wang Changtian, president of Enlight Media, takes the position of CEO of the new company and he is also the largest individual shareholder of the new company. Wang Qindai, CEO of Hurray, who is said to have participated in the entire process of the planning of the merger, has chosen to withdraw from the business for personal reasons, hopefully with a golden parachute. As Hurray has already made some business adjustments before, there reportedly won't be any staff reduction following this merger.